then we will be able to put ourselves in the shoes of others and never give up on them. than ourselves but from realizing our kinship with all beings." I certainly was no "newbie" to Spiritual Practice back in 2006. Sixty years old, I had practiced meditation, lived in several spiritual communities, attended numerous intensive retreats in various traditions, and had a regular daily practice for large swathes of time for 35 years. Although I had experienced a number of "peak experiences" over the years --on and off the zafu -- little did I know that my mind was about to be blown once again. "THIS BOOK IS ABOUT AWAKENING THE HEART." Although I had read Chogyam Trungpa's classic works back in the day, and spend a bit of time with Tibetan Buddhist communities in Madison WI and Woodstock NY over the years, my primary focus had never turned to Tibetan practices. To be honest, as I had experienced in some Hindu settings, I was pretty turned off by the somewhat gaudy opulence and what appeared to be a "guru-driven," highly ritualistic approach to spirituality. The relative simplicity of the American incarnations of both Zen and Theravada seemed much more in tune with my own, moderately Marxist, sensibilities. Yet, as I poured through Start Where You Are that day, I was transfixed. 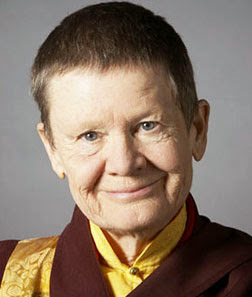 As an American female monk steeped Tibetan practice, Pema Chodron offered a fresh, accessible, down to earth presentation of the traditional Lojong Teachings of Tibetan Buddhism. Although many of the concepts were familiar old friends, something shifted. Chapter by chapter, her teachings helped me to establish a new and deeper relationships to the teachings, to practice -- and to life. I had always considered myself a pretty compassionate dude, dedicated to service. The Bodhisattva Vow had been part of my personal practice for decades. Yet, I had also struggled through a series of burnouts during that time. The Reality of Our Essential Oneness was part of my own experience, but it was clear -- I didn't have a clue as to how to live that out through my life in a sustainable way. I could "be there" for others but I couldn't be here for myself. In Start Where You Are, Pema's gentle but clear insistence that we open our heart to our own pain, fear and struggles as the foundation for cultivating compassion for others was transformative. That the "negative" emotions that emerged during meditation (or during our everyday lives) were actually fertile grounds for Lojong Practice rather than something to be avoided or "transcended" blew my mind. With these Teachings, I was encouraged to awaken my heart, ever more deeply, to the immensity of our shared human condition -- from the inside out. I had, of course, experienced "heart openings" in my life, some during guided meditations in retreat with Joanna Macy and with Steven and Ondrea Levine. Yet in Start Where You Are, I was presented with a coherent "view", a useful language, and a systematic means of cultivating the clarity, kindness and compassion of an Open Heart. 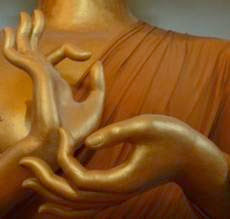 Although it took a few more years (and the encouragement of several Dharmabuddhies) to begin serious practice with the 59 slogans of the Lojong Trainings, the Lojong "view" presented by Pema Chodron and her guidance regarding the Shamatha–vipashyana and Tonglen meditation practices launched me into an exploration that continues to this day. Thanks to this wise woman, in the past decade Practice has deepened. As I've slowly learned to let go of the incessant storylines that run through my head in the ego's fear- laden attempt to create a solid, secure reality where none exists, as I've learned to stay Present to my actual experience more and more, my world has shifted. Slowly releasing the armor around my heart, as time goes on, I've learned to 'lighten up" more readily, to not take myself so seriously. Although I still stumble across my own deep conditioning regularly and blow it, I find myself actually able to "love my neighbor as myself" a bit more consistently, maybe even loving my enemies -- my own demons included -- in the process. If more of us would try this out, I think we might even survive as a species. Great write, Lance. Very sincere. Those 59 slogans have changed my life, also. Actually, they've helped open me to life. "Don't ponder others" has really freed up my time! Oh, the hours I used to fritter away pondering others to puff myself up or to bring them down. What a waste! Thanks for sharing your experience.